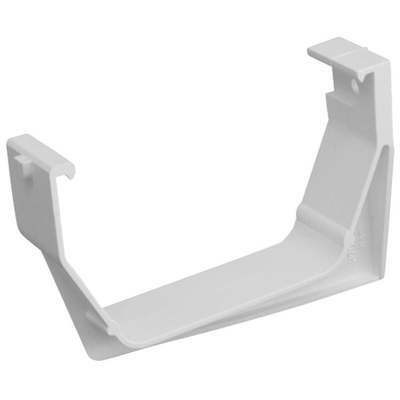 These brackets are 50\% stronger than regular gutter brackets. Recommended spacing every 30" where fittings are not used. For use with RainGo 5" vinyl gutter.